With the economic squeeze and an increased awareness of carbon footprints fuelling the notion of all things local, from the rise in farmers’ markets and locally-grown produce to supporting local restaurants and one’s local economy, it now seems in a small nook of South London that the local movement has moved into the world of film. Specifically, the importance of backing your local cinema or, at least, getting one. Crystal Palace is that rare thing in London, it feels like a village. Situated high on a hill, apart from boasting fine views of the city skyline, it features personable pubs, boutique shops, welcoming cafes and, at least in a former time, a perfectly proportioned picture house. The advent of multiplexes and shifts in cinema-going culture and film distribution caused it to be turned into that blot on all London suburbs, the Bingo Hall, but just when that now has seen its last days and there comes an opportunity to return a rather tired old building to its original, proper use, it has been snatched away. By an evangelical church group. In a cruel twist of fate, the church in question outbid City Screen, the company behind the Picture House cinemas. Yes, exactly them, the ‘local’ cinema people. Unfairly ironic, isn’t it? Before you wonder, “So what? What’s wrong with the church?” and dismissively brush this matter aside (and ignore the rest of this article) allow me to furnish you with a few pointers as to why this issue should resonate. Surely churches are community binders? At least they should be. But this church’s congregation don’t live in the community, and the church in question numbers thousands of members. Members who flock from all over London. Remember that bit about Crystal Palace being a village? Well, if you’re reading this and you live in Little Pickwick or Much Hadham and your back door was besieged twice a week with a flotilla of cars clogging up your drives, the dulcet tones of twittering birds drowned out by the cacophony of belting sermonising and nowhere to park by the shops to get your weekly paper, where would you stand? Churches, too, should be voluntary, passive organisations. But this evangelist group’s warped strain of religious practice does just the opposite. They are forcing themselves on this community with no consideration for the community itself, the residents have not even been consulted or embraced. This group doesn’t support a local community, it serves the needs of its members only. Very little to assist a local area there, then. A cinema, on the other hand, as is evident by the size and support of the campaign that’s forming, is binding the community. Speaking of irony, here is a church that is decidedly unchurch-like, by contrast this campaign has all the hallmarks of what we might perceive as the benevolence of church activity; volunteership, charitable donation and, above all, community welfare. As you can imagine, the residents of Crystal Palace are not taking this lying down. Those happy few that dreamed wistfully of the old building being restored to its former use have turned out to be rather more than a few in number. Six thousand and counting, currently. The power of local. And while these numbers have protested by petition, T-shirts are doing the rounds, celebrities are being recruited, a Facebook page is calling out and the campaign website, www.picture-palace.org, keeps growing, that, alas, won’t cut it. The church have the building. But there is one saving grace, however. The church requires planning permission to change the use of the building from ‘leisure’ to a ‘place of worship’. If passed, that application will be the death knell to yet another of the great picture houses built in the 1920s. Gone would be the stucco plasterwork that finesses the building’s interior, gone would be the inviting foyer and brass banisters that adorn the central staircase and gone, too, would be the cinema entire. And another piece of heritage is chipped away. So the planning objection now moves into its most critical stage. The campaign have mobilised the community to deluge the council planners with letters of protest entitled, as they are, to object by strength in numbers. So, good readers of The Arbuturian, support in numbers is what they need. Support they shall have. 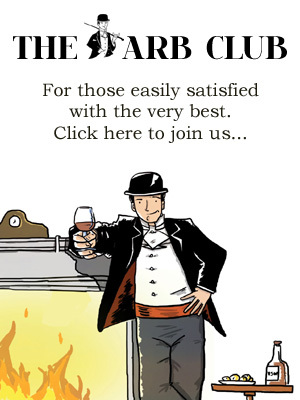 While the editorial board have always attempted to impart information from a purely objective standpoint – bias is not (usually) our business – and while we may be disparate in our specialist subjects, one thing in common really brought the members together (apart from a love of fine dining); The Arbuturian was founded on common interests, and one of those key interests was cinema. This, as you can appreciate, rocks the very foundation of all which we deem holy. Are we going to just sit back and let our liberties be eroded? Are we going to watch our local amenities being swallowed up by an inconsiderate, inappropriate plague of locusts? Hell, no! So join, my brothers, go to the website and join that petition! Make a stand! Preach? I’m not even warmed up. Fight for a freedom of choice, for our right to preserve that which we hold dear, fight…for LOCAL! If you want to support the campaign go to www.picture-palace.org for more info and to sign the petition. That’s right, you and me brother – down the front with our placards! Good luck with the campaign. I’m all for local. I’m all for cinema. This campaign simply must be successful. The alternative is too depressing. Come on the Palace! Let’s get indie cinema and local community back in the running! What a well written piece, this part of the area has needed regeneration since its decline in the 1970s. A cinema would bring a new cultural heart to the area which would kick start a new era of optimism, vitality and inward investment. The church has a web site that states it is “raising champions and taking territories” and aims to have its own bank and office block- appealing to a monied congregation it seems elitist and its aims imperialist rather than christian! I wish you the best of luck with your worthy campaig. It can only be right that a building be restored to its original purpose. The people that are running and supporting this campaign deserve the wealth of opportunity that the cinema can offer.